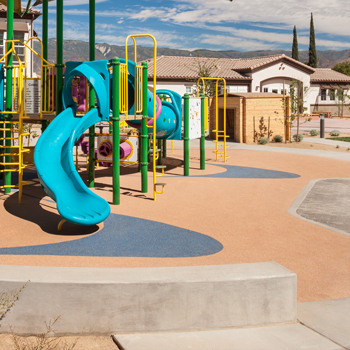 Arrowhead Grove is a service-rich community in the City of San Bernardino that supports educational attainment, economic mobility, and improved health through education, wellness and social service programs. 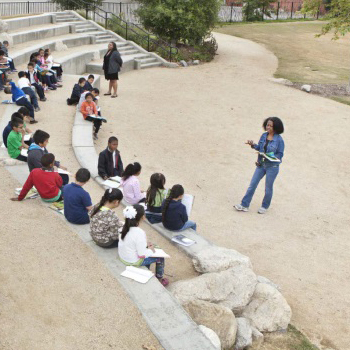 National CORE has created a neighborhood that extends learning beyond the classroom and intentionally blurs the boundaries that separate school and home, indoors and outdoors, nature and technology, young and old. 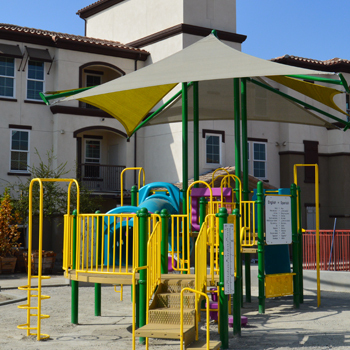 The different phases of Arrowhead Grove are connected by a series of outdoor spaces that promote healthy living, music and lifelong learning through a multicultural lens. 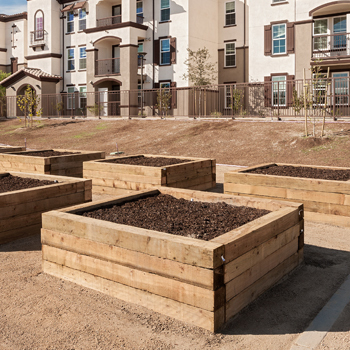 Through an outdoor network of recreational amenities, residents will encounter a Community, Health and Success Center, outdoor classrooms, community gardens, flexible gathering spaces, edible landscape, celebrations of natural processes, moments of inspirational art and musical expressions. 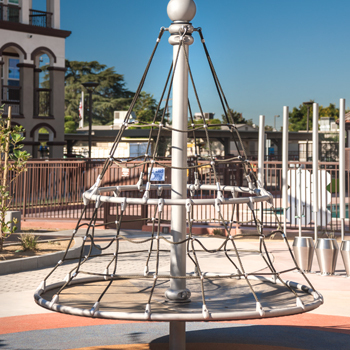 The implementation of these themes has been carefully assembled to reflect the cultures of the neighborhood, including Vietnamese and Chinese herbs in the edible landscaping and community gardens; the Caribbean drum located in the play area; and native plants and citrus trees throughout the development that are indigenous to the region. encourages exploration and stimulates the imagination. helps individuals retain information and enhances learning. 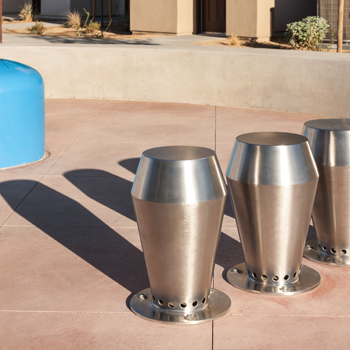 creates a natural gathering place for families to enjoy community and the outdoors. creates community connectedness, encourages healthy eating, promotes physical activity and teaches the importance of community, stewardship and environmental responsibility. 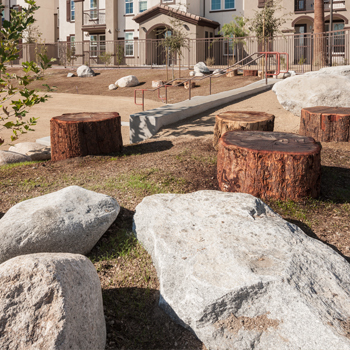 with rock seating walls, the amphitheater creates a space for residents to gather, climb and learn in an open outdoor setting. enhances coordination and engages the imagination. Play is critical in fostering health, creativity, intelligence and overall wellbeing.